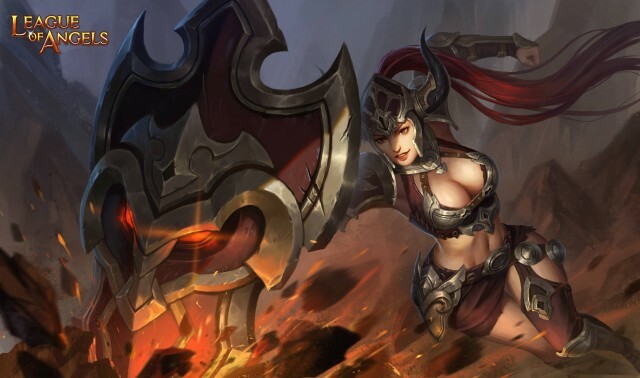 Flaming Warlord is a very powerful warrior with a solid shield, which is passed down from her father. Her father is the bravest fighter in battlefield. She was trained as a boy since she was a little girl, and she regards her father as her idol. She finally realizes her dream as a warrior. When the grand war begins, she voluntarily armed to join the fight. She is not only strong, but also inherits her father's loyalty and justice. With the mission of fighting the evil, she always is full of passion and power. Battle Skill: Reduce the Attack of two units with the highest Agility by 30% for 3 turns. Regular Skill: Costs 75 Rage. Taunts all enemies in front row to assault you for 2 turns, dealing (140% Basic ATK+1800) damage. In the meantime, gains a shield equal to 21% of max HP and increase DEF by 40% for 2 turns.